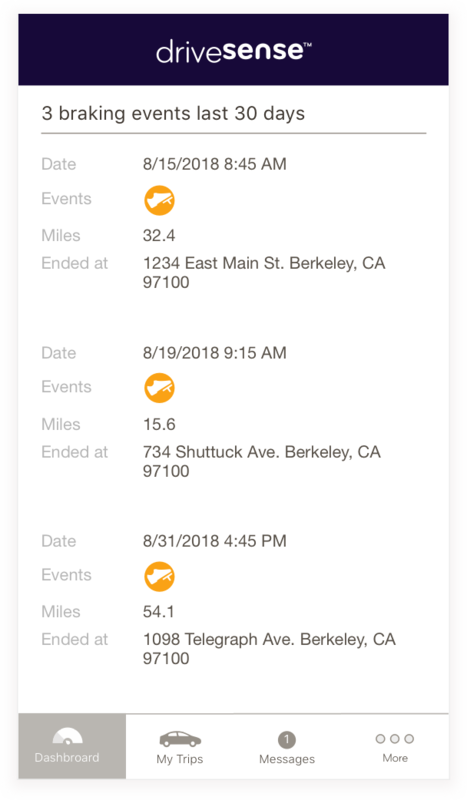 DriveSense collects users’ driving data, draws maps of their driving patterns, and gives them tips and weekly recaps. It helps drivers drive safer and save money by earning a personalized insurance discount. Design a user interface that captures trip information such as time of day, duration and driving habits. Include screens showing real-time feedback on driving risks like speeding and sudden braking as well as tips to reduce risk and evaluation of each trip. Visual design consultation, hands-on design of interface elements and handing off assets to developers. 146,000 users downloaded the app in 2018 with overall satisfaction level at 85% percent. Drivers find the app very helpful in improving their driving habits and appreciate knowing that it's actively storing proof of safe driving so they can apply a discount on their next policy.